Finding fun things to do in Napa Valley isn’t hard to do because really, there are endless things to see and do! The following are only some of the many options that you’d like to do if you decide to go in the California wine country for your holiday. Visit wineries — it is one of the quintessential things to do in Napa, whether you drink wine or not. There are over 400 wineries in the area, and they range from the most popular wineries to the best-kept secrets in the area if you want a more intimate and concentrated wine tour experience. Most wineries are open for an appointment, while a very few can only accommodate walk-in visitors, so if you plan to visit wineries only a day or two ahead, look online and find for the wineries that are open for tastings without an appointment.There are many things to see and do in the Napa wineries besides offering wine tastings. Certain wineries like the Hess Collection and Artesa Winery offers thought-provoking art and inspiring architecture, while others like Domaine Carneros and Peju boast jaw-dropping gardens plus stunning views of the vineyards. Go on a food trip – no matter which restaurant, joints or markets you choose, you’re in for an exciting food crawl in Napa! From delectable foie gras to gourmet burgers to sushi to lovely steaks to sinful chocolates and pastries and lots more, you’ll be guaranteed of a gastronomic treat and surprise in Napa Valley. Of course, there should be wine as it is quintessential to every meal in Napa. Get a dose of art and culture! – While Napa Valley is first and foremost a wine country, over the years it has gained a reputation as a place for serious art lovers! In fact, art seems to be proliferating in Napa. You can find art at even in the wineries themselves: The Hess Collection, Artesa Winery, Mumm, Cliff Lede Vineyards, Markham Vineyards, and other that feature mostly contemporary art.Fan of Anselm Adam’s work? Then you’ll have the chance to see his esteemed photography works that grace the walls of Turnbull Cellars in Oakville.Apart from the wineries, there are of course real galleries to explore, the most famous being Aaerna Gallery, Ca’ Toga Galleria D’Arte, Gordon Huether Studio, The Christopher Hill Gallery, and many others that feature an assortment of styles from neo-classical, Baroque and contemporary art. Get around in a more fun way – For a more exciting and perhaps more nostalgic (and romantic) experience, ride the Napa Valley Wine Train which consists of fantastically restored 19th-century railcars. It also functions as a moving restaurant that serves gourmet lunches and dinners, not to mention its beautifully ornate interiors that make you feel like you’re entering some sort of a royal antechamber than a train aisle.You can also avail a lot of other fun ways to get around and explore the natural beauty and wonder in Napa. Cycle among the vineyards and enjoy a scenic tour while riding a motorcycle or experience a calming boat ride on the Napa River or Lake Berryessa. 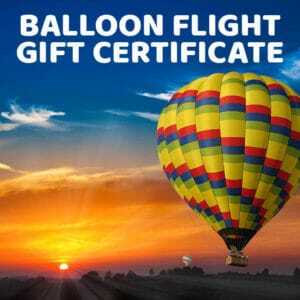 Or go for a hot air balloon ride!A hot air balloon ride? Why is that so? While it is understandable that there’s a risk involved and many people are a bit hesitant to get it, those who are willing to ride a hot air balloon will be richly rewarded with spectacular views of the Napa Valley. Immaculate rows of grapevines, clusters of trees that now look like broccoli from afar, the rolling hills and Napa’s famous valleys — something that you will not be able to see and appreciate through other ways. Don’t forget to bring your cameras to take awesome pictures to take as souvenirs, which you will cherish for a lifetime. When you decide to take on a hot air balloon ride, make sure to pick a company that has an extensive experience in hot air balloon and a flawless safety record. It should also be reputable for its customer service, as well as an awesome tour package. Just like us at Balloons Above the Valley (BATV), whose impeccable piloting and on-ground services and hospitality have made us the most trusted hot air balloon company in Napa Valley. In fact, we have been recently awarded the 2015 Certificate of Excellence from TripAdvisor, which is the testament of our quality service and excellent customer relations. When you have all these fun things to do in Napa Valley, you are guaranteed of a truly wonderful and utterly memorable holiday at one of the most beautiful wine regions in the world!